Clear all 36 jellies, bring dawn all ingredients and reach 50000 points to complete the level. This level has medium difficulty. 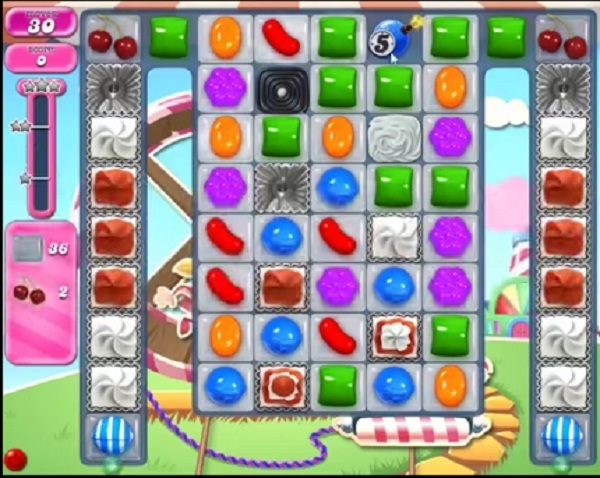 For this level try to play more from middle part of the board and make special candy. Combine them with each other or use striped candy to break the blockers that are in corner. Or play with remaining jelly candy to break them all. Another level you can’t get any matches on to make special candies…ugh!! 1764 is more difficult than it looks … finally got lucky with this level.